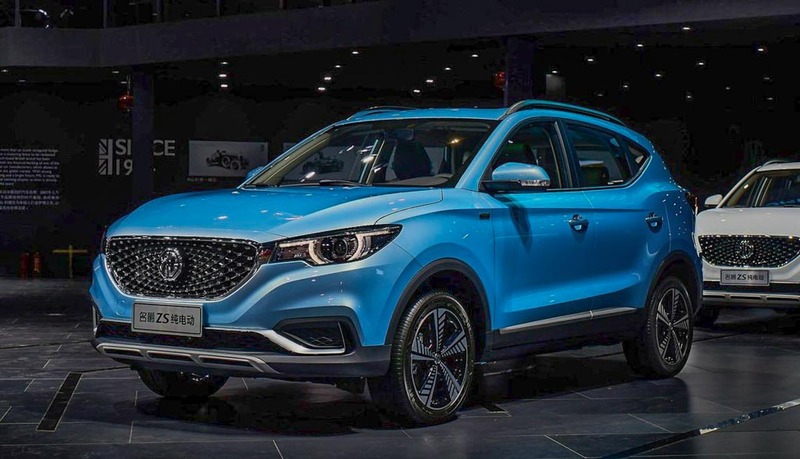 MG Motor India is entering India in the middle of next year with a premium SUV and it has already confirmed that an all-electric SUV will follow up in the early parts of 2020. The SAIC-owned British company showcased its product range and technologies in China last month to the Indian media, as part of bringing latest technology to our customers. The brand is aiming to have the first-mover advantage by launching a zero-emission vehicle in the premium SUV space as it wants to “stand out from the crowd”. About 45 dealer partners were finalised and around 100 touch points will be established in MG’s first phase of operation. It will also have its workforce consolidated to 1,500 people by the end of 2019. MG bought Halol plant in Gujarat from General Motors in September 2017 and its products will have high degree of localisation while complying with global quality standards. Moreover, its vehicles will be designed and engineered in the UK and China with support from Indian engineers from its local base. The existing production capacity of 80,000 units per annum could be expanded to 2,00,000 units eventually depending on the market demand. The e-SUV in question is expected to be brought into the country via CKD channel and assembled in Gujarat to keep the pricing reasonably competitive as battery module could have local content as well. With a firm electrification plan in place, MG has not made public about what the model will be for India. However, the newly unveiled eZS should give a clear idea where the brand is heading towards. 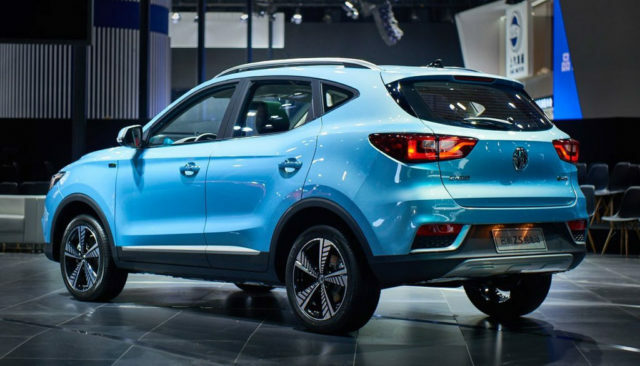 Having debuted at the ongoing 2018 Guangzhou International Auto Show in China, it has right specification on paper to be a success. The MG eZS electric SUV, with length of 4,314 mm, reminisces the regular ZS except for the subtle details like the addition of charging slot, newly designed alloy wheels, eZS badging, unique blue colour scheme, etc. 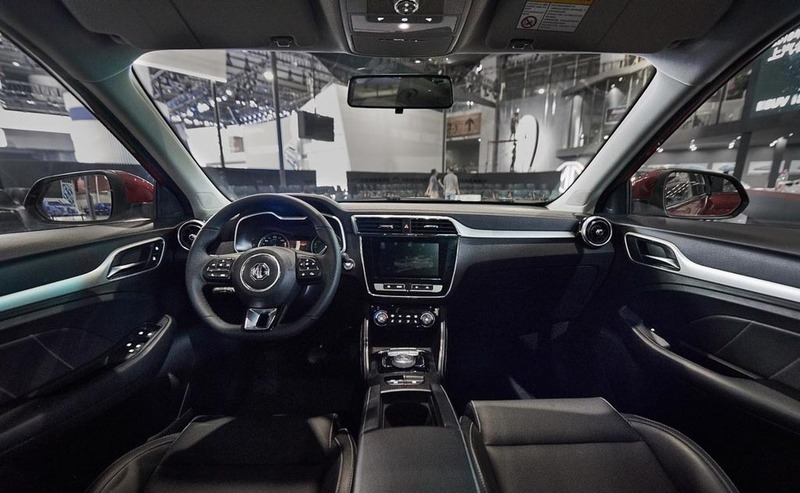 On the inside, it carries over the design and features list from the standard model with inclusion of new bits and pieces including range display. It will rival Hyundai’s Kona EV which is expected to come with 39 kW battery pack for claimed range of around 312 km. 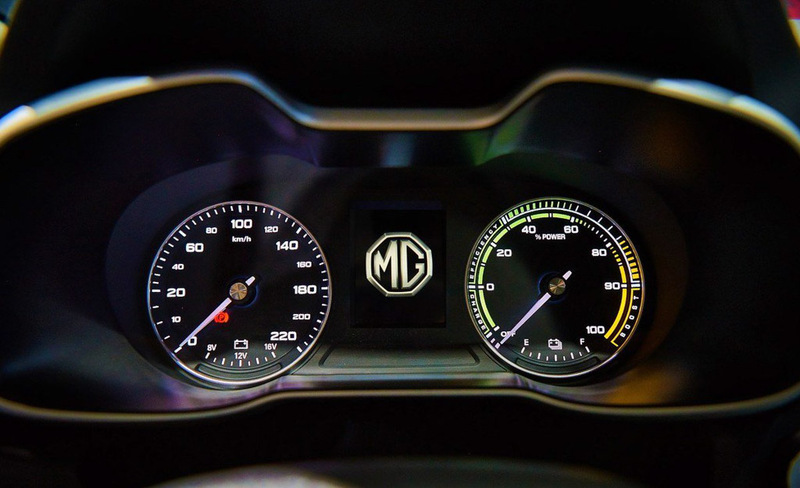 The eZS uses a 110 kW electric motor with 335 km range on a single charge in NEDC (New European Driving Cycle) and MG says it can extract up to 428 km from the battery when speed of 60 kmph is maintained.